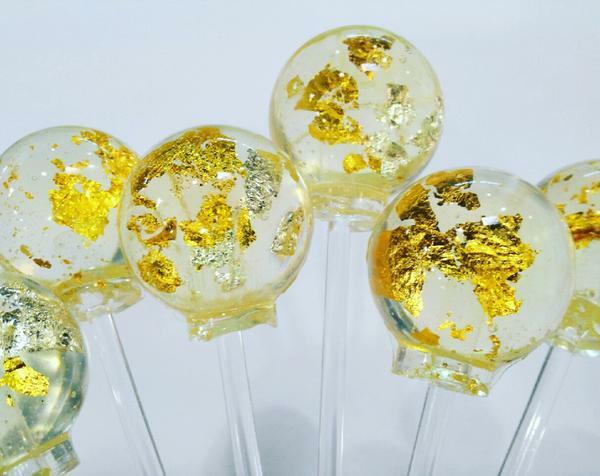 24 carat gold and edible silver lollipops by Vintage Confections. 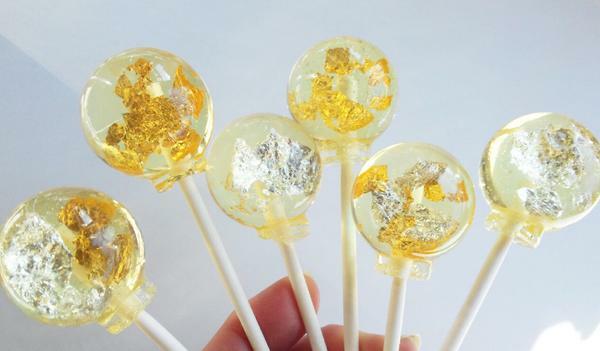 24 carat gold OR edible silver lollipops. 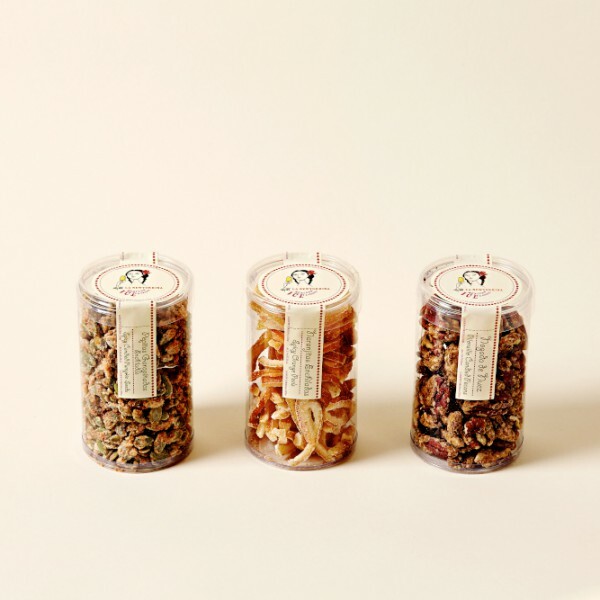 Contains real gold and real silver for a truly luxurious experience.